Chief lab technician, Mr. Boré Kaliva with his laboratory staff, at the Prefecture Hospital in Yomou, Guinea. He was demonstrating the use of the Rapid Diagnostic Test [RDT] for Ebola Virus, using positive and negative control samples. Yomou hospital was one of the sites selected for the RDT-Ebola pilot study, in part due to its proximity to the site of the earliest recorded cases of Ebola in Guinea’s Forest Region. 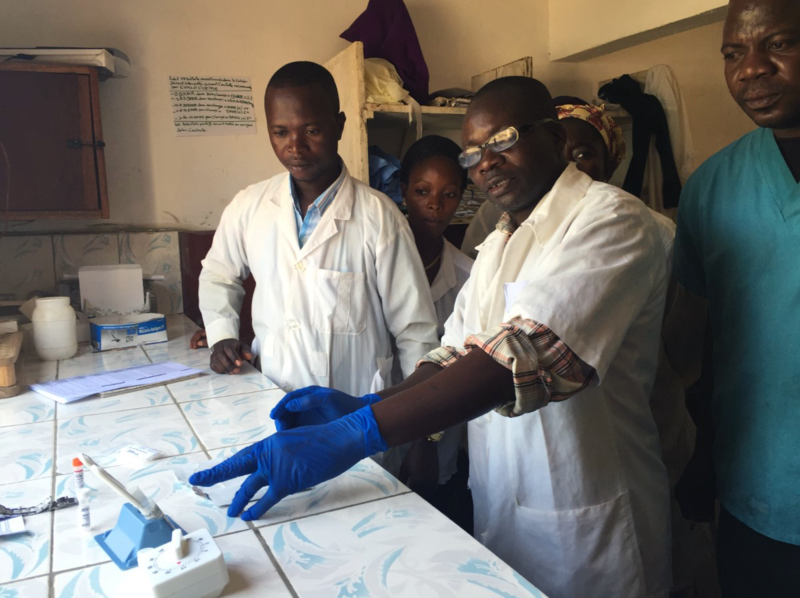 Alaine Kathryn Knipes, “Rapid Diagnostic Test,” The Global Health Chronicles, accessed April 20, 2019, https://globalhealthchronicles.org/items/show/7754.